Santa Tom Hartsfield is one of the 10 Santas who appeared in the 1994 OTTO Versandt commercial which launched the Real Bearded Santa phenomenon. Hartsfield is the original Founder of the annual Santa Reunion Luncheon, which has spawned dozens of organizations, academies and conventions in the many years since. 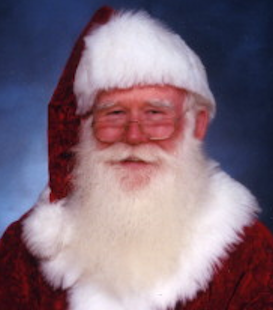 Hartsfield has appeared at many corporate, commercial, and private events during his decades of being Santa Claus. He has also mentored many new and upcoming Santas in the fine art of being a professional Kris Kringle.